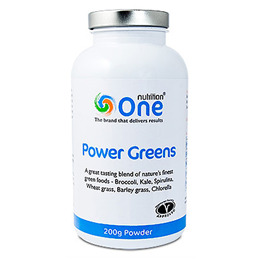 One Nutrition Power Greens provides a great tasting blend of nature`s finest green foods - Broccoli, Kale, Spirulina, Wheat Grass, Barley Grass, Chlorella. A potent natural source of raw fuel your body needs to perform at its best every day. By delivering concentrated green food nutrition in a way that suits our modern lifestyles. Spirulina, Wheat grass juice powder, Barley grass juice powder, Brassica blend (powdered broccoli, White cabbage & Kale), Chlorella, Sweetner: steviol glycosides (Stevia). Below are reviews of One Nutrition Power Greens - 200g Powder - Best before date is 30th June 2019 by bodykind customers. If you have tried this product we'd love to hear what you think so please leave a review. 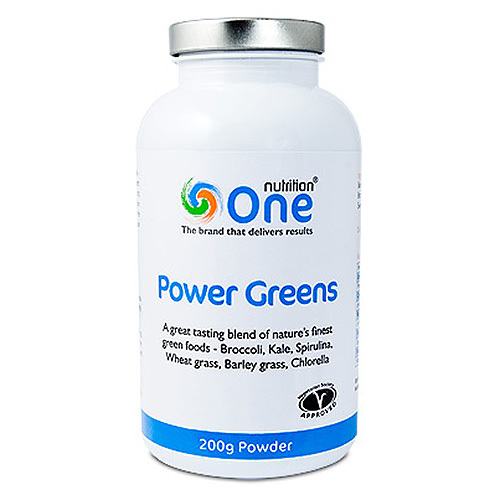 One Nutrition Power Greens provides a great tasting blend of nature`s finest green foods - Broccoli, Kale, Spirulina, Wheat Grass, Barley Grass, Chlorella. A potent natural source of raw fuel your body needs to perform at its best every day.